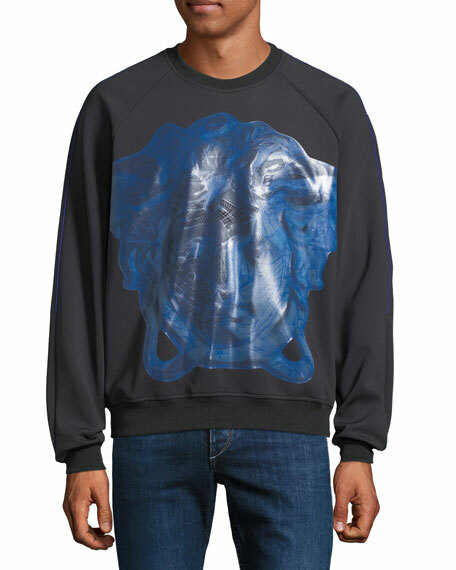 Versace "Dionysus" sweatshirt with metallic Medusa head graphic print on front. 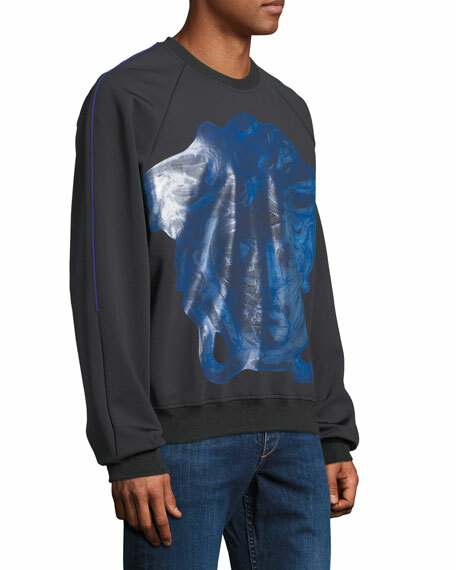 Versace chenille hoodie with Medusa embossed back. 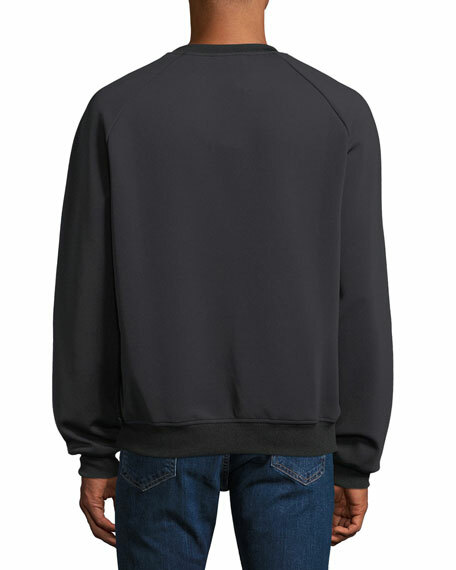 Drawstring hooded neckline; two-way zip front. Side slip pockets. Straight hem. Nylon/cotton; polyester lining. Spandex/cotton trim. Made in Italy. Model's measurements: Height 6'1"/185cm, waist 32"/81cm, typically wears size M.